Vacation Home Security: Are As Secure As You Think? Welcome back to the Affordable Locksmith of Texas blog! In one of our last blog posts, we talked about unconventional Valentine’s Day gifts for your significant other. One such gift we suggested is an electronic locking system. These modern locking systems are revolutionizing the security of homes and vacation homes in the Spring, Texas area and beyond. Keep reading to learn more about the benefits of an electronic locking system and visit our website to learn more about what our 24-hour locksmiths can do for you! It’s that time of year when everyone in Spring is excited for sunny weather, times spent by the coast, and lazy days doing nothing but relaxing. If you are like us, you have probably been looking forward to this and for months, and are ready to get out to your vacation home. Or, maybe you are excited for the vacation season for other reasons: to rent out your vacation home this spring and summer. 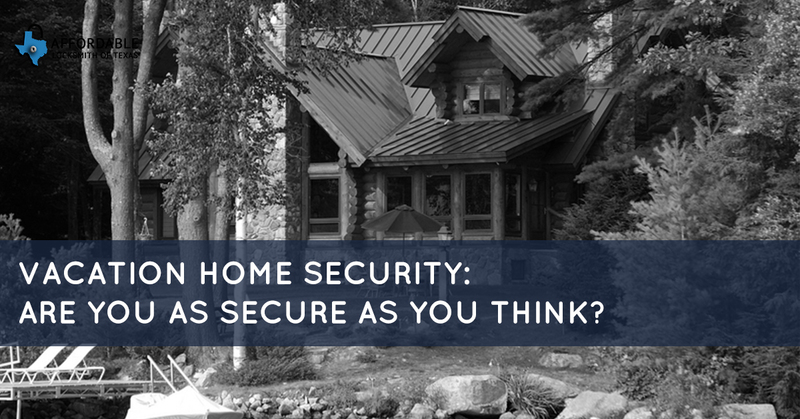 Before you rent out your vacation home you should take a moment to think about if your vacation home has the best security possible. Many vacation home owners are switching to electronic locking systems from a traditional lock and key systems. Why? The benefits that such a locking system can provide far out-weight the cost — and this kind of system is more affordable than ever. Keep reading to learn more about the many perks! There is a reason why locksmiths love installing electronic locking systems: they are a means for security that can be relied on. That isn’t to say that traditional key and lock systems are unreliable. It’s more so that when you install an electronic locking system in your vacation home, you don’t have to worry about anyone picking the lock and you can check to see if your system is locked from anywhere using an app on your phone, tablet, or computer. Because it is so easy to use, an electronic locking system can give you peace of mind. Not only can you rely on it being locked no matter if you secured it when you or the last tenant left, but also because you can so easily change the access code, you don’t have to worry about the wrong people being to enter your property. Electronic systems are enabled with the capabilities to change the access code whenever you want, so as soon as your current tenants have left, you can change the code. Because you can change the access code whenever you want, your life just got at least ten times easier. You can not only better control who can enter your property, but you don’t have to worry about one of the biggest and most expensive issues that owners of rental homes can face: lost or broken keys. You also never have to worry about how you will get your vacation home’s keys to and from your renter. Simply give them the access code and then change it after their stay is over. To learn more about the benefits of an electronic locking system, contact the locksmiths of Affordable Locksmith of Texas. We would love to help you have the security that you need and to make your life as a vacation home owner even easier. Contact us by visiting our website! Are you locked out of your vacation home? Do not fear! The 24-hour locksmiths of Affordable Locksmith of Texas are available 24 hours a day, 7 days a week. Call us anytime and we will get back to you within 15 minutes of your call.